Is it all about to Blow? All this within days of the mars-sun-earth alignment and the April bloodmoon (2014 is the year of 4 bloodmoons that means war). Today the earthquakes in the region form a 5 pointed star. I have been drawing a 5 pointed star on a blood red background for about a year. 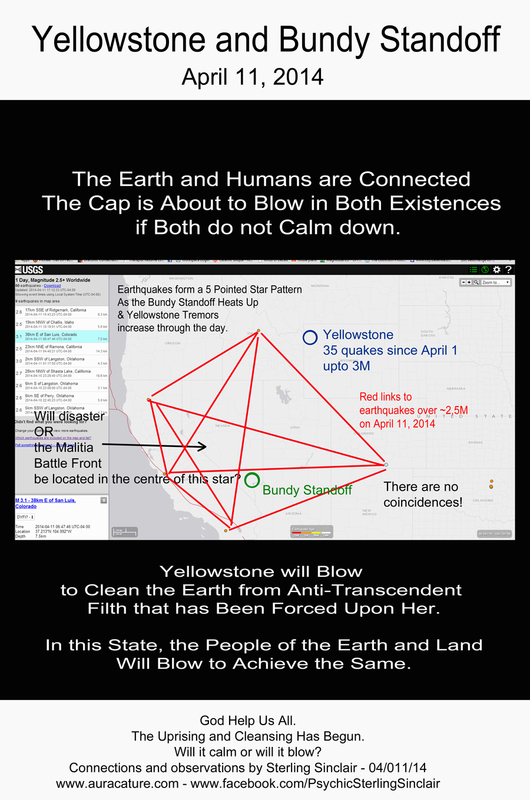 The Bundy standoff is near the centre of the earthquake star. The real media story is this event. The malitia in the USA have been preparing for this for years. No tasers will stop them from this rite. Civil war is at hand USA or it seems, far worse – Yellowstone is growing impatient with you. Is this observation just a coincidence? Diego Garcia, USA, Australia, Russia, China, and Britain. Are they Really Searching for Missing Malaysia Plane Flight MH370? Britain, USA, Russia, Chinese, Australia, Singapore, Russian Navy, American Influence in Eastern Indian Ocean and the 50 year USA Diego Garcia lease Expiration in 2014 / 2015. In this article, notice the purpose for Diego Garcia in relationship to the Americans… Fueling station and Defense/Military Communication… Does this relate to any of my Auracature images? If you read this document, you will either start to link the dots between the search for the Missing MH370, the countries involved in the search, why Diego Garcia is involved all at the same time that Russia faces down the world especially Britain and USA. Do you like solving connect the dots puzzles? I was psychically led to this article. As the world marches to war, a few Russian Subs in that area would be fine things to locate and extinguish if you were a country against Russia, wouldn’t it. Does this article possibly relate to the Missing MH370 or the Ukraine crisis? As I have posted, the grand illusionist has many reasons for making a plane disappear. Is the Sun Hitting Us Hard and Will the Power Be Going Out? Government and Media Silence May Breed Mistrust, Speculation and Hysteria. I hope this information may lead you to be better informed. What ever is up is certainly upon us. All backing onto the USA IRS delay in services from November 9-12, 2013. A lot of things happening all at the same time. Ok so is the power grid gowning down or not? As for information off the internet – who knows?! “Psychically, something is going to happen during or after the Nov. 3 eclipse. I have been virtually blocked from vision (strange) between the dates Nov. 4 and Nov. 20th. I researched sun activity and tracking last week, what I found was that up until November 3 – all kinds of planned scans and calculations done by US authorities like NASA (which allegedly closed today due to “shutdown”). After the 3rd -almost nothing. That raised a red flag for me. I did not receive further visions within this set of visions. 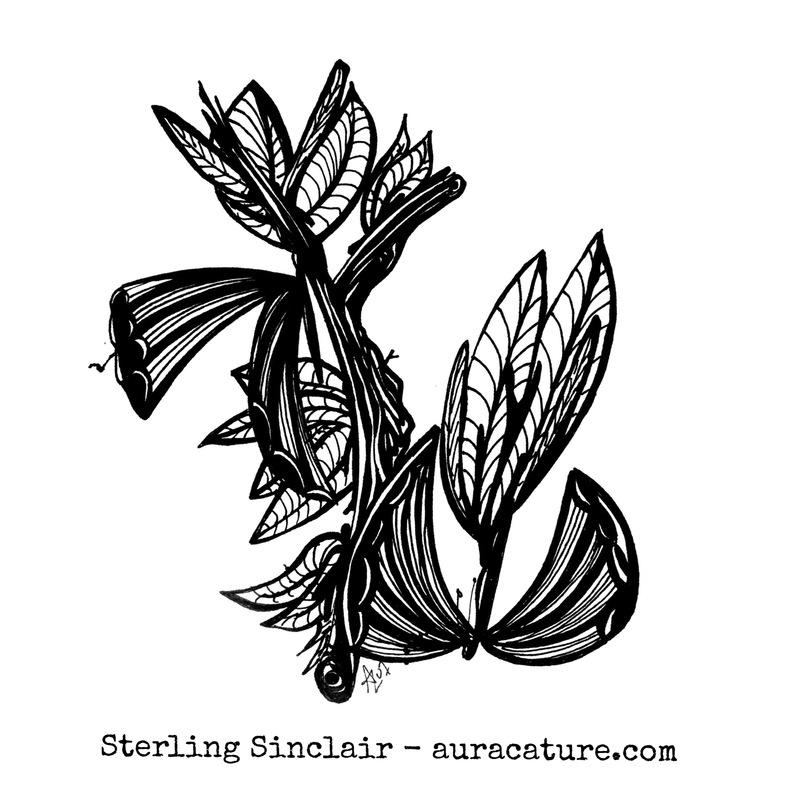 Yesterday, November 7, 2013, I drew an Auracature regarding November 13, 2013. The following Auracature is today’s illustration regarding the power grid on November 14, 2013. Be sure to do your own research and try to always be prepared for a power outage.